Musicians, composers and artists Michael Gould, Stephen Rush and Marion Tränkle have collaborated with climate scientist Henry Pollack (co-recipient of the 2007 Nobel Peace Prize with IPCC colleagues and Al Gore) to create a multimedia installation that captures a precarious moment in the history of our planet. Part science, part music, part art, this collaboration is a groundbreaking, thought-provoking and compelling multisensory experience focusing on Earth’s changing climate. The collaboration takes its inspiration from Henry Pollack’s book A World Without Ice. An original composition by Stephen Rush, with musical patterns and structure derived from a century of climate data, anchors the installation. An innovative ice-melt actuated instrument created by Michael Gould, comprising suspended ice domes melting drip-by-drip onto an array of differently tuned drums, complements Rush’s score. A film by Marion Tränkle blends beautiful photographs from both the Arctic and Antarctic by Pollack and his colleagues, to provide a gorgeous, slowly evolving large-scale visual envelope for the installation. The musical composition carries the listener through large leaps in temperature, the randomly dripping ice yields an eerily beautiful and natural companion sound, and the film provides a stunning visual immersion. The overall narrative of the imagery takes the viewer from a totality of ice, slowly evolving into landscapes of ice, land and water, eventually to reach an enveloping ocean that characterizes Earth without ice. The exhibit creates a unique space in which visitors can contemplate Earth’s changing climate, and shape their own perspectives of this ongoing global transformation. No visitor leaves the installation unchanged. The World Without Ice collaborators in a panel discussion as Artists In Residence at Michigan Technical University. Michael Gould is a Professor of Music at the University of Michigan in Ann Arbor, Michigan in the Jazz and Contemporary Improvisation Department in the School of Music, Theater & Dance and the Residential College (College of Literature, Science and the Arts). Dr. Gould has received international recognition as a performer and scholar in the field of drumset, contemporary percussion performance and pedagogy. He has performed and given clinics all over the world. Michael has released over 100 educational percussion videos through playalongmusic.com. He has also composed and performed music for a wide range of ensembles and venues from the Münich Opera and Ballet to National Public Radio. He has had unique collaborations with engineers, material scientists, painters, poets, dancers, athletes and business professionals. His new book for the iPad-- The Drum Diaries is available worldwide through the Apple iTunes store. He is also the music director for Tangente Dance Company in Berlin, Germany. Gould is also a member of the Board of Advisors for the Percussive Arts Society. His latest piece Remember Me was just performed at the Kunsthaus Dahlem in Berlin, Germany and include dance, theater, percussion, electronics, and original artwork. The work has been published by Alternative Press, Ann Arbor, MI. 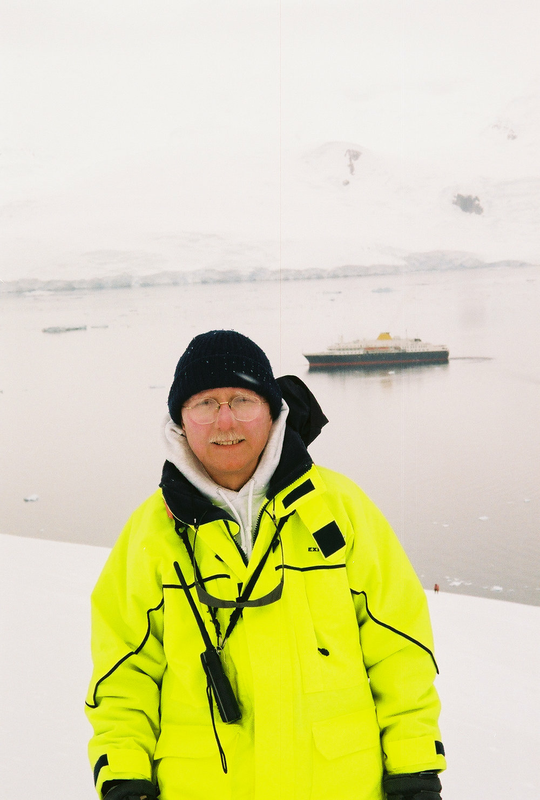 Henry Pollack is a geophysicist engaged in research on many aspects of Earth’s changing climate. As a contributing author to the 2007 Intergovernmental Panel on Climate Change (IPCC) Assessment Report he shared the 2007 Nobel Peace Prize with former Vice-President Al Gore and IPPC colleagues. He created and led an international research consortium that has reconstructed the past 500 years of Earth’s climate history, primarily through measurement of subsurface temperatures around the world. Pollack has worked on seven continents, published widely, and earned a reputation as an excellent writer and public speaker who explains complex scientific ideas simply and clearly to general audiences. He currently is a science advisor to Al Gore’s Climate Reality Project. Pollack’s public speaking experience is extensive. He speaks frequently (10-15 presentations annually) to professional, business, academic, alumni, civic and community groups throughout the United States and abroad. He is the author of two widely praised general-interest books – Uncertain Science, Uncertain World (2003, Cambridge University Press), and A World Without Ice (2009, Avery/Penguin). Pollack travels annually to Antarctica as a guide and naturalist, helping eco-tourists gain a better first-hand understanding of Earth’s changing climate. At the University of Michigan, he was the originator of the perennially popular general education courses Earthquakes and Volcanoes, Climate and Human History, and The Science and Politics of Global Warming. Rush has had premieres in five continents and released many publications of his musical compositions. He has written 5 operas, over fifty works for Dance, chamber and electronic works, concertos, and two symphonies, performed by the Detroit Symphony and the Warsaw National Symphony. He has authored two books, including a recent work with Ornette Coleman. He has recordings on ESP Disk’, Equilibrium, Deep Listening, Centaur, MMC, RogueArts (Paris), Eroica, Summit and CALA Records (with the New York Philharmonic Chamber Musicians). He is a Professor of Music at the University of Michigan, where he founded the Digital Music Ensemble which he has directed for 25 years. With the ensemble he has worked with Pauline Oliveros, Alvin Lucier and Robert Ashley; premiered works by John Cage, Philip Glass and La Monte Young. 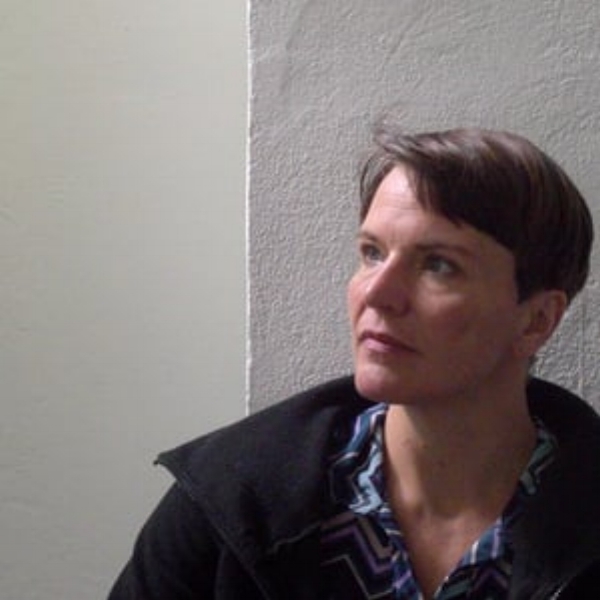 Born in Berlin and living in Amsterdam, Marion Tränkle is an artist and designer with a practice that crosses the fields of media art, performance, and architecture. Receiving her Engineer Diploma from the TU Berlin, she also holds degrees in Contemporary Dance from the Amsterdam University of the Arts and from the Media Technology program at Leiden University. Her artistic practice concerns interactive, scenographic, and performative installation, and focuses on live processes of transformation, which are physically performed and staged. In developing her work she often engages in conceptual strategies that involve international cooperation within other artists, designers, and engineers. This includes a recent collaborative work On Track which was developed by the artist collective, In Serial in the context of the European Mobile Lab for Interactive Artists, a project initiated by the Universities of Athens, Lapland and Applied Arts in Vienna.